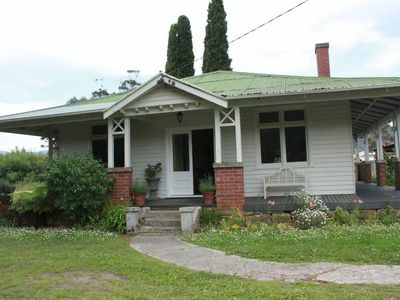 Relax and Enjoy this Unique Stay on the banks of the Huon River, right in the heart of Huonville. This homestead has been in the family since it was built in the late 1800’s. A peaceful and relaxing spot, it has bought much joy to the extended family and all who have enjoyed visiting and staying in her over the years. Many memorable moments with Sunday family lunches, kids boating, fishing and swimming in the river, Christmas dinners on the verandah and even weddings in the gardens. Ideal accommodation for families and groups of up to 6 people.